Bestseller: More than 6,1 million sold! 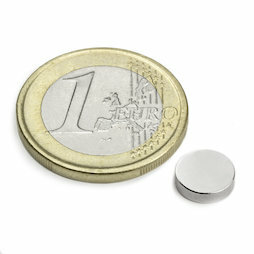 A small flat neodymium magnet with an adhesive force of about 1 kg. Our customers use it, for instance, for magnetic buttons or manual training in school.